It’s very strange to think back to a time when Chris, Will, Guy and Johnny weren’t the monolithic music entity that they are in 2016, when they were just 4 university graduates who happened to find themselves on the radio with their breakthrough hit Yellow. Back at the turn of the millennium, I think people knew that Coldplay would go places, such a strong debut like Parachutes made them household names pretty much overnight. But I don’t think anyone could have predicted the sheer magnitude of success they were to have. 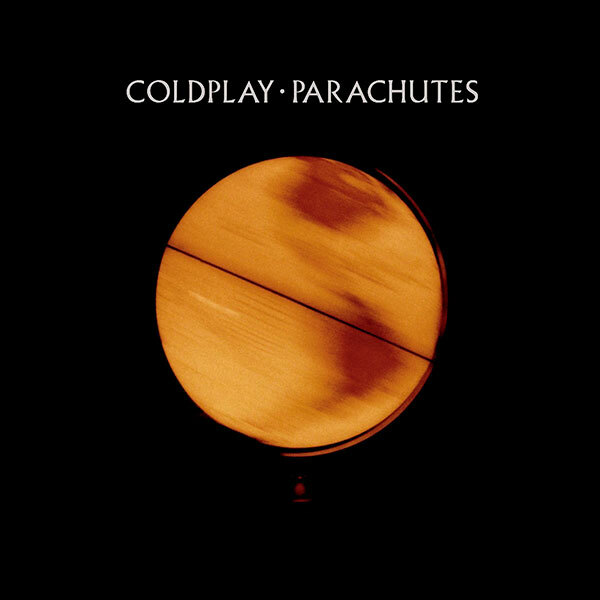 Parachutes is a very good album, the kind of debut that comes from years of honing in on a ‘sound’, something that made Coldplay stand out among the near on desolate indie scene left behind by the Brit Pop era. Yellow is an obvious standout with it’s stadium filling hook becoming a trademark for the group, while the earliest recording on the record, the short but definitely sweet Don’t Panic opens Parachutes like a dream. The rockier moments, such as the standout guitar riff on Shiver and the soaring Spies make this a diverse record too, side by side with the haunting ballad Trouble it’s striking. Closing with the slow burn of Everything’s Not Lost feels quite poignant too, it’s by far the most ‘Coldplay’ record on here. It’s the first of that ‘genre’ of songs like Up & Up, Every Teardrop Is Waterfall and of course Fix You that builds and builds until that explosive moment that the band have made their name on. The whole of Parachutes is brought together by Chris Martin’s falsetto vocals, which are distinctive in a way without isolating casual fans. It’s a voice I’ve heard for most of my life and typically my earliest memories of it are from hearing a song like Shiver blasting out from downstairs with my mum singing along. She’s the reason I’ve been a Coldplay fan ever since, especially given she’s the biggest fan I know. I have her, as well as the rest of the British buying public to thank for bringing Coldplay into my life, seemingly the most divisive act in the music industry despite being the easiest to love. Parachutes is a stellar debut from one of the greatest bands of our time. Best Track: Everything’s Not Lost is the most ‘Coldplay’ song on here, but for me I’ve always been a huge fan of Shiver. Their very first charting single, it’s the closest thing to the festival owning sound that they became synonymous with here. It’s also worth it for how ridiculously young they look in the music video. Tags: Coldplay, Parachutes, The UKs Greatest Hits. Bookmark the permalink.